CPS Property are delighted to offer this modern apartment to the local rental market, the property offers comfortable living at the foot of Donnybrook Street. Minutes walk away the property offers an array of local amenities from cafes, bars, restaurants, Queens University and Belfast city hopsital. Public transport can be accessed at the top of the street making Belfast city centre and all greater Belfast a convenient commute. The property comprises of three good sized double bedrooms, master en-suite and two with built in wardrobes, bathroom complete with modern electric shower unit and a spacious open planned living area offering a modern fully fitted kitchen. The property benefits from tiled floors in the communal areas and wooden floors in the bedrooms, each bedroom offers locks on the doors for added security. 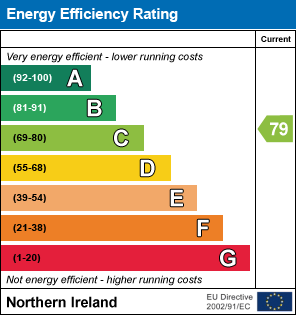 Futhermore the proeprty benefits from Upvc double glazing windows, gas fired central heating and security alarm. This very well presented property is sure to appeal to those looking for good quality accommodation within the bustling Lisburn Road, the property is highly suited to both students and professionals. Call CPS Property Today for more information or to arrange a viewing, if you may find this proeprty unsuitable please feel free to contact us about similar 1 - 7 bedroom properties in various South Belfast Locations. I am interested in 7 Donnybrook Street, Belfast. Please contact me about this property.